A beautiful tea shop, with a variety of flavours, traditional tea sets and other tea-making utensils. Astrophytum by Pavel is a Japanese brand of necklaces. Every piece is unique – great for gifts or if you want something exclusively you! A two-floor furniture store stocking Japanese and Western-style items made from a special kind of wood, with a range of antiques on the fourth floor. High-quality homeware is found here, with a corner reserved exclusively for gifts where you can pick something up for someone special. 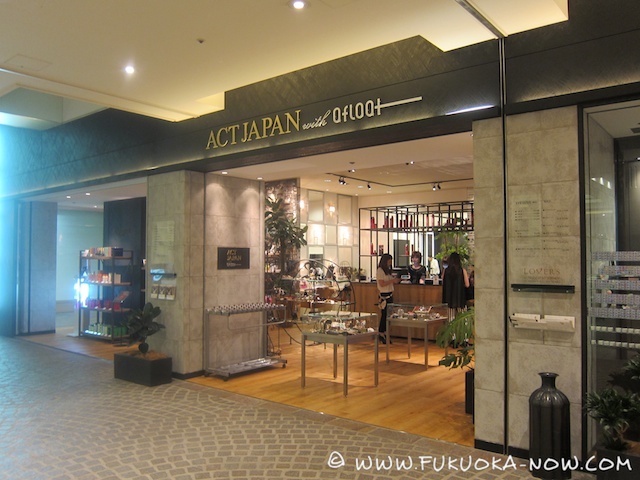 This shop has a great reputation for its special fabrics used not just for their wide range of kimonos, Hakata obi and kimono accessories, but also for wallets and purses, shoes and some jewelry pieces. Occasionally there are events held in-store too. Morris’Hippo is a chain of well-known British pubs here in Fukuoka, where you can enjoy an imported beer or cider in front of a soccer (or football!) game and try their famous fish and chips for a taste of the UK. You can either grab a comfortable spot at the bar or relax on the terrace and admire the river in this Italian restaurant. It has a generous selection of pizzas and pastas. This is a grand atrium cafe on the fifth floor which is a great place to relax and enjoy the view or perhaps stop to read a book. This cafe serves great hamburgers – a great lunchtime spot. The decor is quite unusual, though charming and in its distinctive style. You can also pick up a book from their library to read whilst you eat. eeny meeny miny mo isn’t an enormous store, but if you want a relaxed visit, spending a few hours in a cafe or restaurant, we’d recommend a lunchtime visit with some time for a cafe and browsing in the afternoon. In the summer you can stop by the beer garden in the evening. For Children: Unfortunately this department store doesn’t target children, so there’s very little on offer for your child. For Men: There are a few shops for men, but all exclusive brands – Diesel, Adolfo Domiguez and Equal to name a few. For Women: There’s a recently-opened hair salon on the first floor which includes a nail bar – why not treat yourself after a browse in the high-quality stores in eeny meeny miny mo? For Tourists: Tourists will love being able to see the variety of stylish kimonos and the accessories to accompany them. A range of gifts can be found in the tea shop or various household items that make great presents. 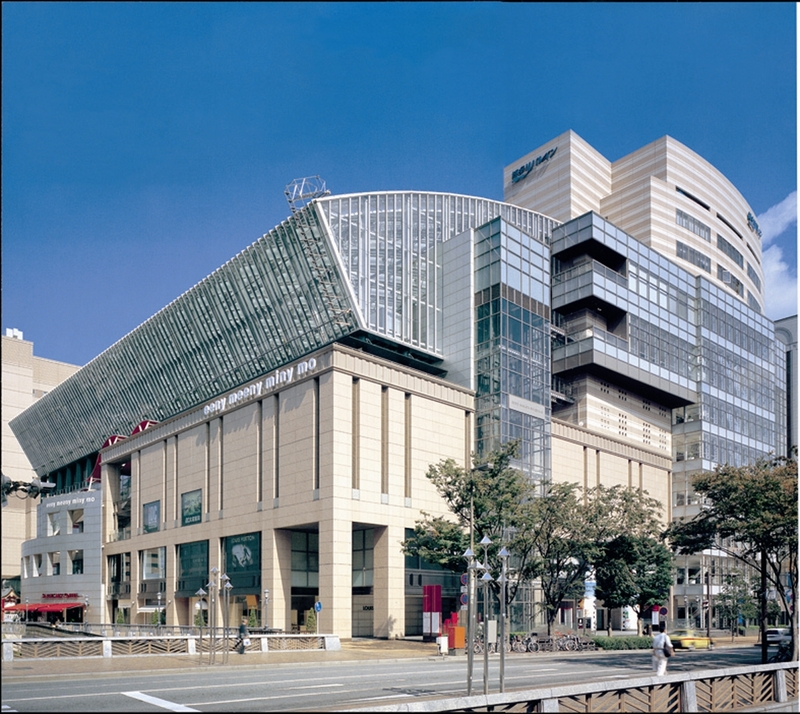 This museum opened in 1999, aiming to promote interactions between Japan and different Asian cultures. The exclusive collection of Asian modern and contemporary art on display is as rich in diversity as it is in color. There’s also a gift shop with many art-related goods that would make a great souvenir.